Melilot – this is a nectariferous plant! Description: melilot is a biennial plant. Its stem is upright with up to 2m height. The leaves are ternate; the leaflets are lanceolar with dentate edges. The flowers are yellow. The flowers are gathered into botryose blossom clusters with the 4-10cm length, 30–70 flowers per each blossom cluster. The root is vertical, it goes into the ground. The root length is up to 2m (up to 3m under favourable conditions). The fruit is an egg-shaped little bean with the 3–3.5mm length. The seeds are small. The color is yellow-green or yellow. The seeds keep their germinating capacity during 10 years or even longer. Melliferous capacity: 300 kg/hectare (cultural) in case of the central regions of Russia. Blossom periods: the blossom period starts in the middle of June and it lasts 40 — 45 days. Biological peculiarities: during the first year two or three buds are formed on the root collar with the 0.5 — 1.0cm depth in reference to the surface. During the second year reproduction takes place in the buds. So when the seeds are matured the development cycle is complete. During the first year the plant can be easily drown with weed plants. 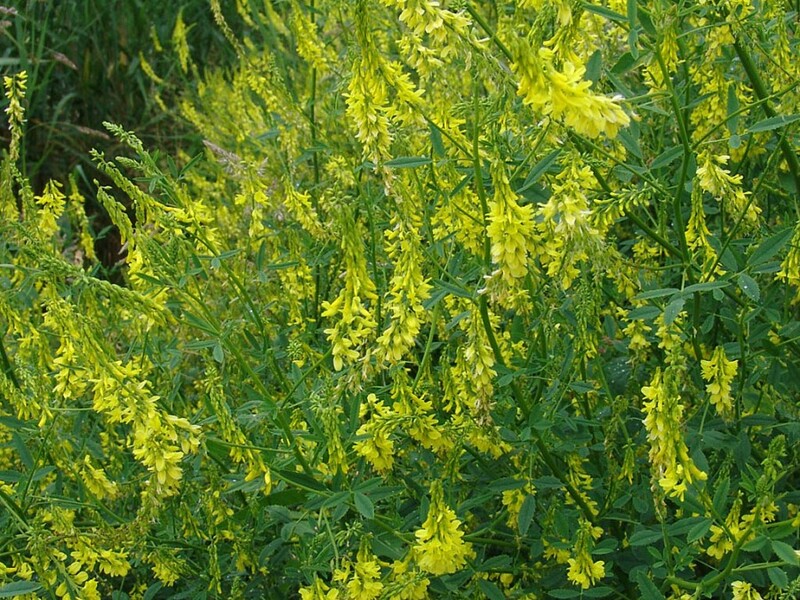 The melilot is a light-demanding plant so shadowing is harmful for this plant during the first year. It grows at the temperature of +2.+3. It is winter and freeze — resistant. In spring it is able to withstand freezing up to -5. During the first year it is sensitive to drought. After the first year it becomes stable to drought due to a solid root system. There are no requirements for the soil: the melilot can grow in black earth, loamy, podsolic, carbonate, marinade and sandy soils. Acid soil is harmful for the melilot. Agricultural technology: the ideal covering of the melilot seeds is 0.5–2.5cm (in case of solid soils it shouldn’t be planted deep while in soft soils it is planted deeper). It is important to avoid soil drying. The melilot seeds are covered with a solid shell that’s why they need scarification so they start to swell. Once treated, the seeds germinating capacity will reach 90%. 10 -15 days before seeding the seeds should be placed in a warm room where they are dried and warmed. The melilot may be added in any crop rotation. It is planted together with autumn rye, spring wheat. It is possible but unadvisory to add it to oat and barley as these seeds depress it. Positive result will be achieved in case the melilot is planted in a 30cm-wide inter-row spacing together with oats. It is also efficient to plant it together with millet. Larger volumes of seedling will be achieved if the melilot is planted in the late autumn. It is prohibited that the melilot grows before the beginning of the winter. It is necessary to start planting in the early spring as the seeds require humidity. The seeding rate is 14-20kg/hectare in case of row seeding and 6-8kg in case of wide-row seeding. During the first year a 20-22cm stubble is left during cutting as this size is optimal for further development of the plant. 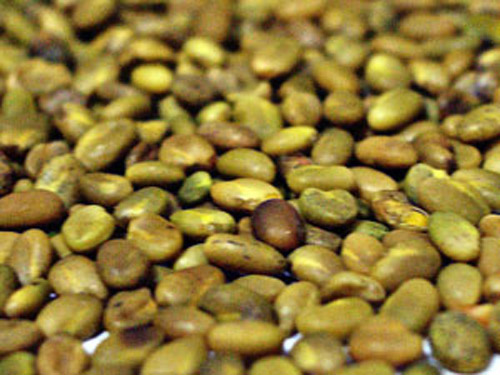 Note: Melilot is an outstanding green manure and nectariferous plant, a useful medical plant and the source of biomass.